Comments: This is an excellent white flowering cultivar. It produces dense, dark green glossy foliage and is well suited for use as a privacy hedge. 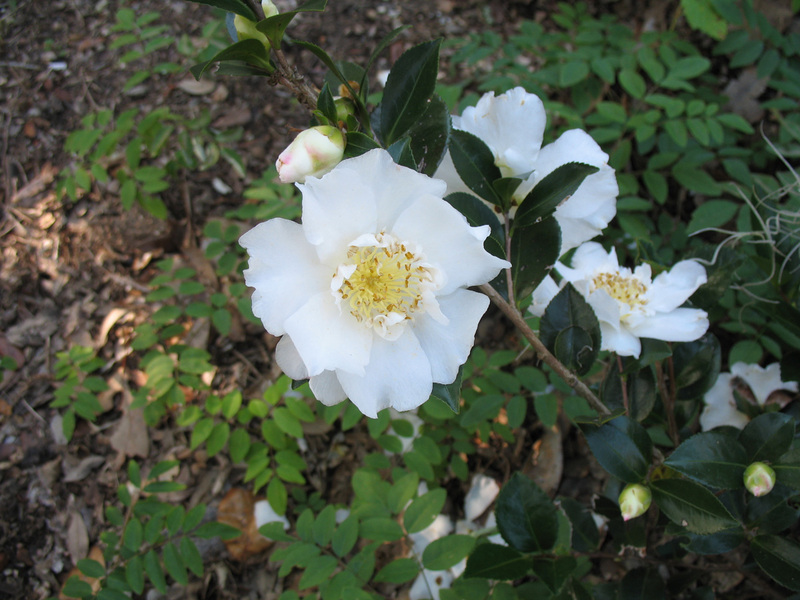 Camellia sasanquas perform best in a fertile, well drained soil. Pests can include tea scale and leaf gall, but neither is that bad when growing conditions are favorable.